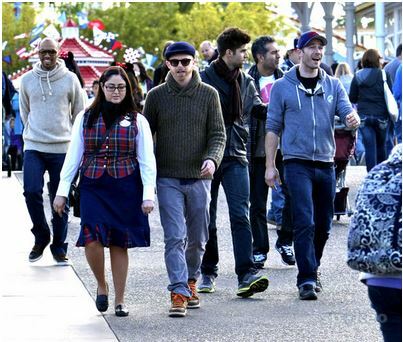 Luke with his Friends Jesse Tyler Ferguson and Justin Mikita, in Disneyland, (January, 16 2012). . Wallpaper and background images in the Luke Macfarlane club tagged: luke macfarlane.